It is now a common refrain among liberals that Christian Right pastors and television pundits have hijacked evangelical Christianity for partisan gain. The Politics of Evangelical Identity challenges this notion, arguing that the hijacking metaphor paints a fundamentally distorted picture of how evangelical churches have become politicized. The book reveals how the powerful coalition between evangelicals and the Republican Party is not merely a creation of political elites who have framed conservative issues in religious language, but is anchored in the lives of local congregations. Drawing on her groundbreaking research at evangelical churches near the U.S. border with Canada—two in Buffalo, New York, and two in Hamilton, Ontario—Lydia Bean compares how American and Canadian evangelicals talk about politics in congregational settings. While Canadian evangelicals share the same theology and conservative moral attitudes as their American counterparts, their politics are quite different. On the U.S. side of the border, political conservatism is woven into the very fabric of everyday religious practice. Bean shows how subtle partisan cues emerge in small group interactions as members define how “we Christians” should relate to others in the broader civic arena, while liberals are cast in the role of adversaries. She explains how the most explicit partisan cues come not from clergy but rather from lay opinion leaders who help their less politically engaged peers to link evangelical identity to conservative politics. The Politics of Evangelical Identity demonstrates how deep the ties remain between political conservatism and evangelical Christianity in America. Lydia Bean is Senior Consultant to the PICO National Network. "The question of how evangelicals will vote has become increasingly important in recent elections. In her insightful and well-researched book, The Politics of Evangelical Identity, Lydia Bean explores how political forces have influenced and re-formed an American evangelical identity from the grassroots. Anyone who is serious about understanding evangelicals' political participation should read this book." --Jim Wallis, president and founder of Sojourners. Available now in Hardcover and Kindle edition from Princeton University Press. Sampson, Robert J. and Lydia Bean. 2006. "Cultural Mechanisms and Killing Fields: A Revised Theory of Community-Level Racial Inequality." 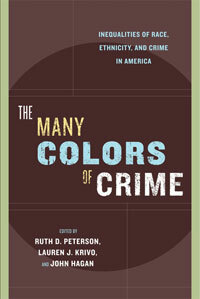 The Many Colors of Crime: Inequalities of Race, Ethnicity and Crime in America, edited by Ruth Peterson, Lauren Krivo, and John Hagan. New York: New York University Press.